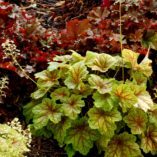 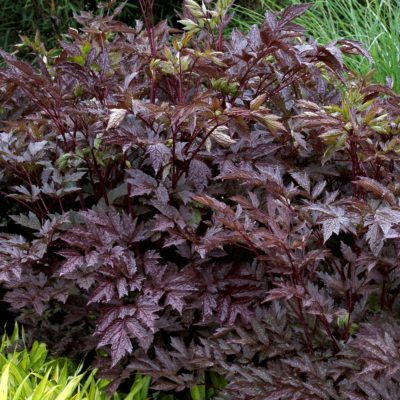 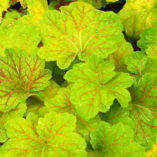 Heuchera ‘Electra’ | TERRA NOVA® Nurseries, Inc. 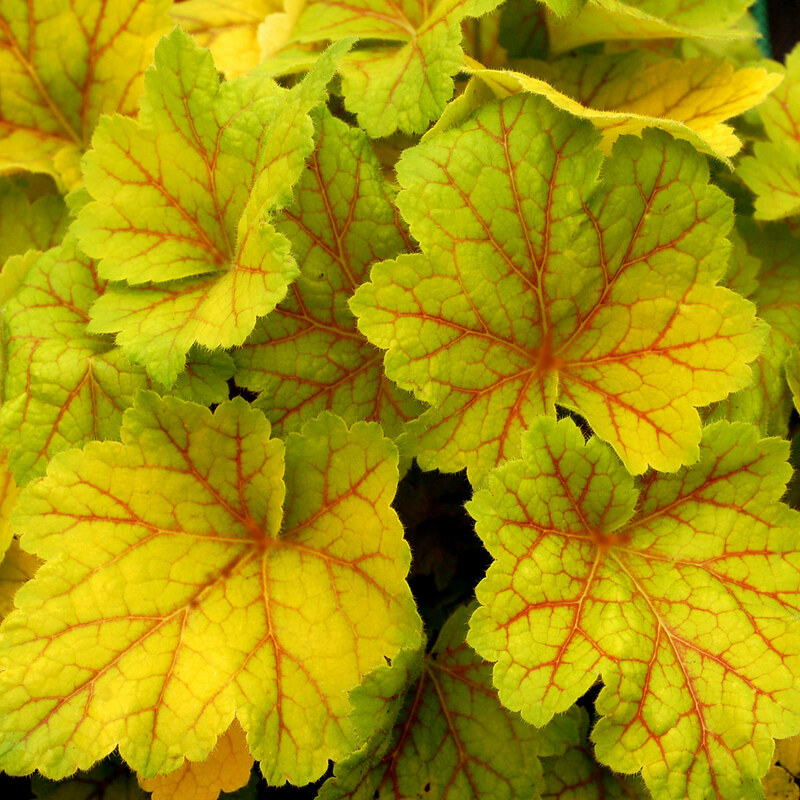 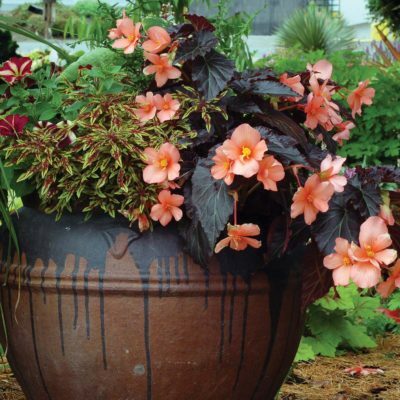 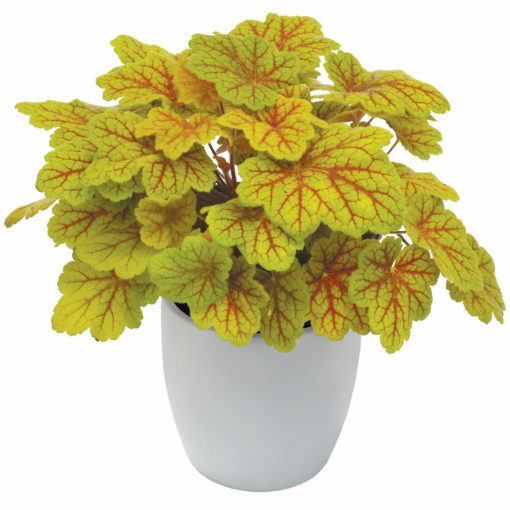 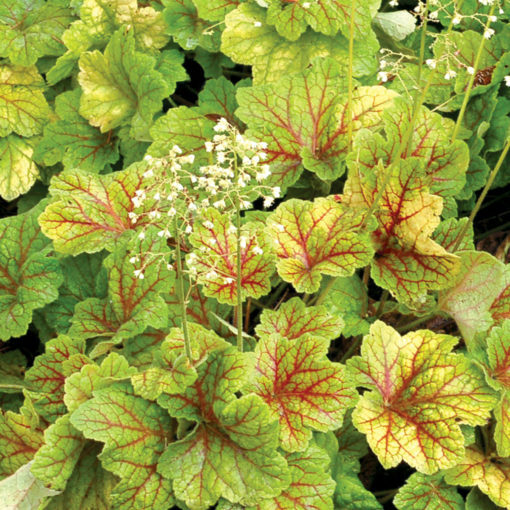 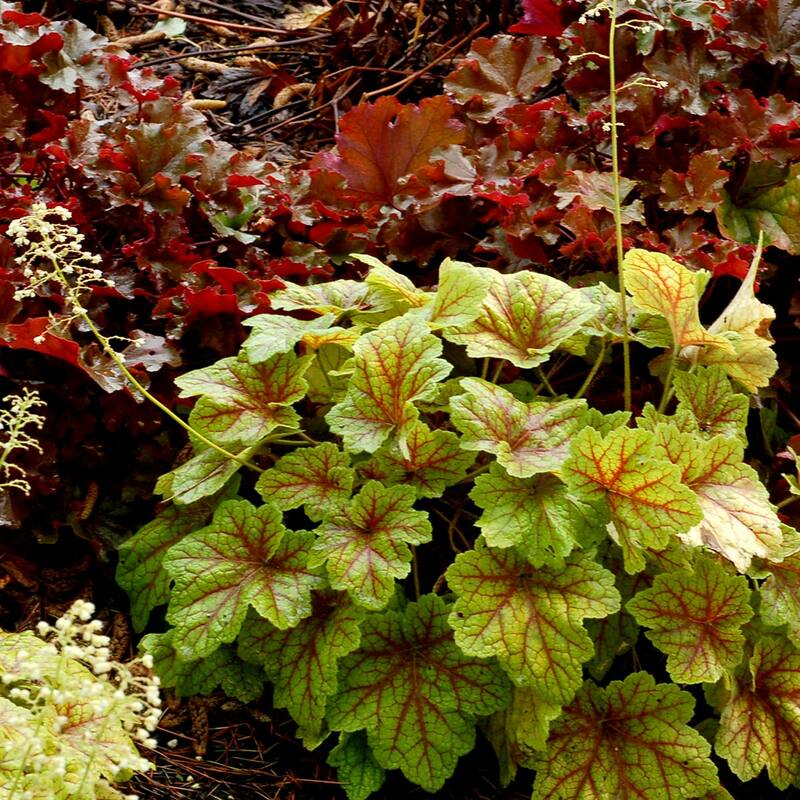 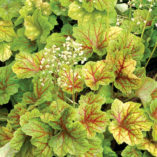 Shocking, blood-red veins electrify the golden leaves of this startling Heuchera. The red venation stays while the leaf changes from shades of yellow in spring, to chartreuse in summer and fall, and tan in the winter. Short, dense cones of white flowers. 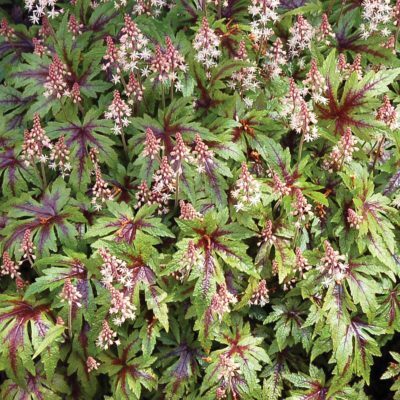 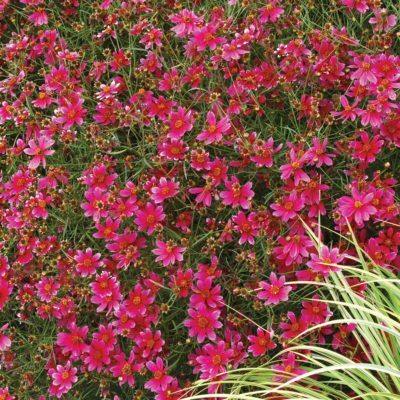 This vigorous, clumping H. villosa hybrid delivers what 'Tiramisu' promised. 8" / 14" / 12"
Compared to Tiramisu, it has much more vigor. 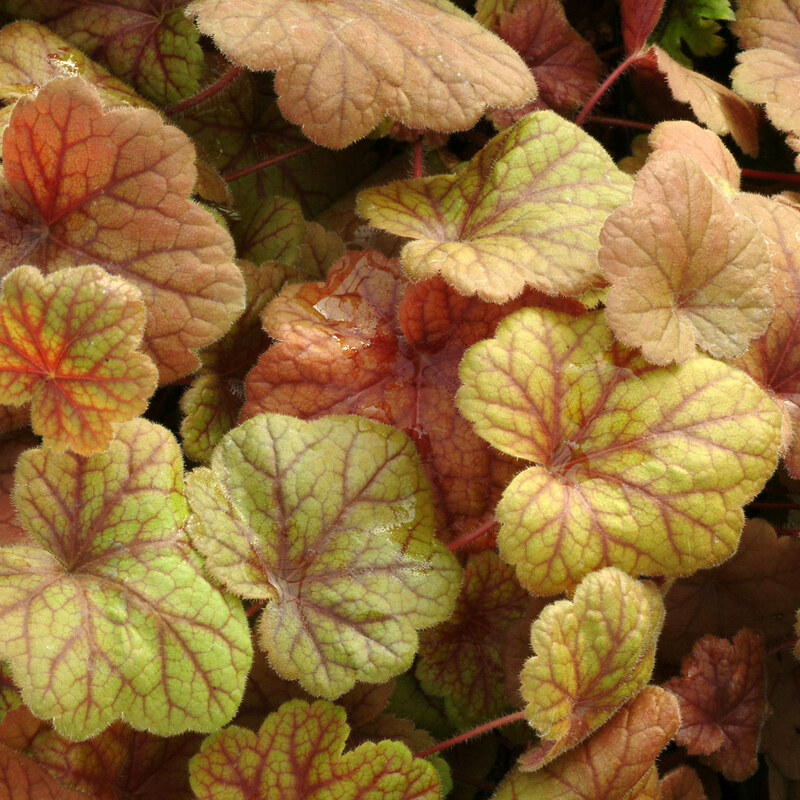 It holds red vein color summer through winter. It has attractive short white flowers. 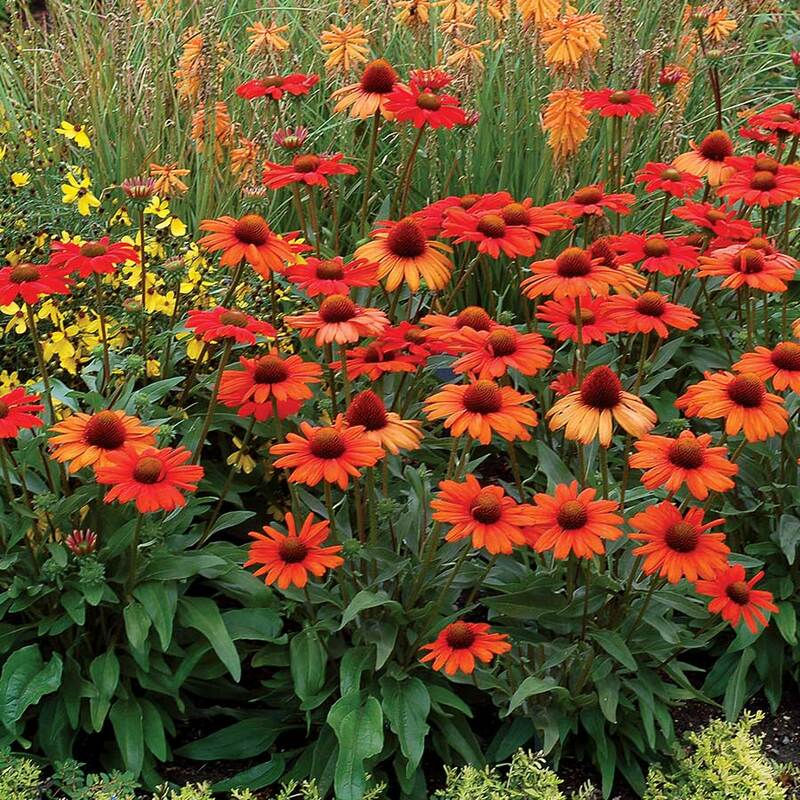 Container, edging, mass planting, mixed beds.